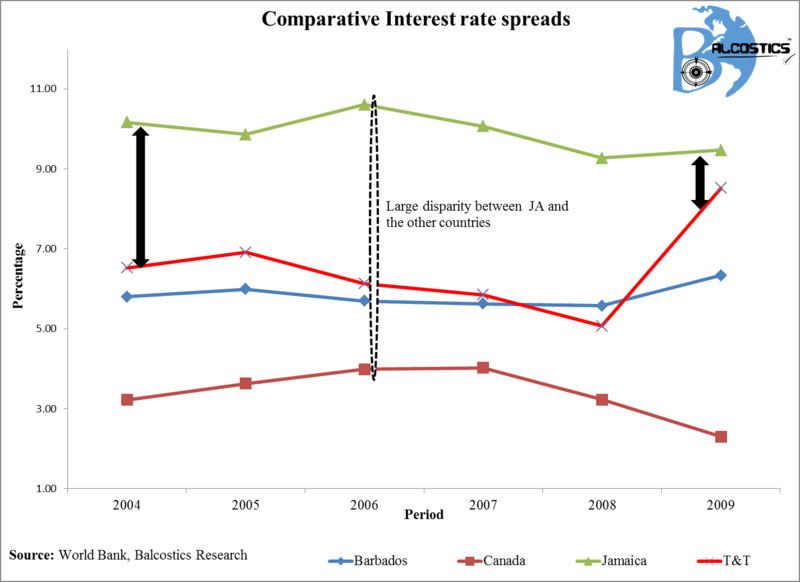 What were the factors influencing the sharp increase in interest rates for T&T between 2008 and 2009? A number of factors could have influenced this spike. Prime among them however would be the impact of the financial crisis (recession) that came full circle in 2008/2009. Banks/ Government had to pay investors higher premiums to borrow their cash.